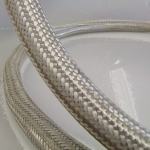 We have a wide range of braided stainless steel products in stock. Other sizes can be made to order. 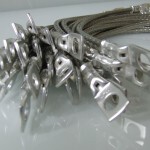 We can also manufacture braids specifically for your project needs. 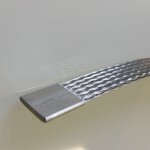 Please click the images for details of specific products or contact us with your requirements. 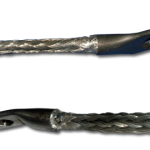 Copper is a good electrical conductor but in corrosive environments such as marine applications and chemical plants copper corrodes too quickly, so we use 316 grade stainless steel as an electrical stainless steel for it’s corrosion resistance, even though the resistance is 4.5 times higher than for copper. 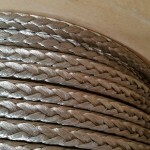 Our products are made from grade 316 stainless steel braided wire. 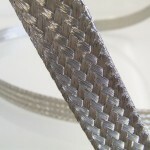 Stainless steel braid can be written as SS braid or S/S braid or 316 braid. We use 316 grade austenitic chromium-nickel alloy stainless steel instead of 304 grade because of the increased corrosion resistance.